The Supreme Court today fixed for support on April 27, a petition filed by retired Army Officer and former Southern Provincial Councilor Ajith Prasanna challenging the appointment of Field Marshal Sarath Fonseka as a Member of Parliament. The petitioner had sought an order in thenature of a Writ of Quo Warrant declaring that the Democratic Party leader Field Marshal Sarath Fonseka is disqualified and not entitled to be elected as a Member of Parliament of the United National Party and thus not entitled to hold office as a Member of Parliament. The petitioner had cited MP Sarath Fonseka, UNP General Secretary Kabir Hashim, Election Commission Chairman Mahinda Deshapriya and three others as respondents. The Petitioner stated that it is a mutation of the franchise of the people of Sri Lanka to permit Field Marshal Sarath Fonseka be declared elected as a member of the National List of the UNP wherein he was not a Candidate (in the District Lists or National List) of the UNP at the time of the Parliamentary Elections 2015. The Petitioner further stated that the nomination of Field Marshal Sarath Fonseka who was not a Candidate of the UNP at the time of Parliamentary Elections 2015 is abhorrent and repugnant to every known principle of Democracy, Franchise and the founding principles of franchise and proportional representation, and the applicable provisions of the Constitution and the Parliamentary Elections Act. 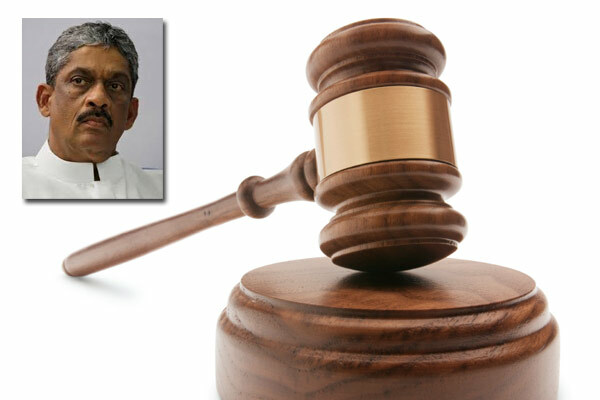 The Petitioner specifically states that Field Marshal Sarath Fonseka has now usurped and unlawfully exercised powers of a Member of Parliament, despite not being qualified to hold such position and the Petitioner is entitled to seek a mandate in the nature of a Writ of Quo Warranto requiring Field Marshal Sarath Fonseka to demonstrate as to under what authority he claims to hold office as a Member of Parliament. The Petitioner states that the Petitioner is entitled to a declaration from Court declaring that Field Marshal Sarath Fonseka is not entitled to hold office as a Member of Parliament. Counsel Thisya Weragoda appeared for the petitioner.